The Pediatric Intensive Care Unit (PICU) at Edinburg Children's Hospital provides 24-hour per day intensive nursing care for children under 18 years of age who have critical illnesses or injuries. We are the region's only PICU led by a pediatric intensivist, a physician who specializes in treating infants, children and adolescents who have severe illnesses or injuries. Children may be admitted to the PICU for a variety of conditions such as severe breathing problems from asthma, serious infections, certain heart conditions or complications from diabetes. Some children may be treated in the PICU at Edinburg Children's Hospital following major surgery or those were involved in a serious accident. The length of a child's stay in the PICU depends on his or her condition. Patients in the PICU often require multidisciplinary clinical intervention and close monitoring by specially trained nurses who know how to handle critical pediatric conditions. All beds in the unit are connected to the central nursing station so the staff can monitor and record clinical events used in the patient's diagnosis and treatment. Other pediatric patients, such as stepdown patients and oncology patients who need close nursing services and monitoring may be admitted to the unit as beds are available. 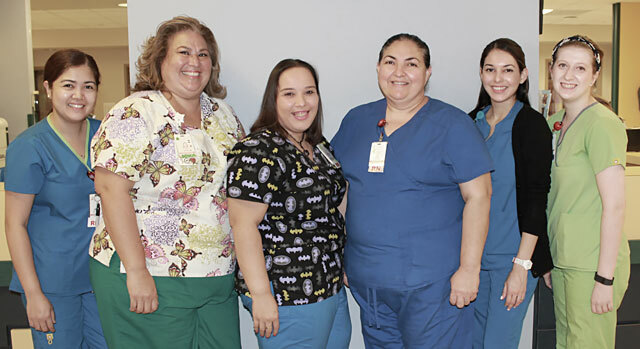 The Step Down Unit at Edinburg Children’s Hospital provides nursing care for patients who are too ill for the general inpatient unit yet do not need the extremely intensive level of care of the ICU. Care of patients in the Step Down Unit typically calls for frequent and intense observation as the patient’s clinical condition changes. The Ronald McDonald Family Room at Edinburg Children’s Hospital is set aside to serve as a quiet rest area for family members of children who have been admitted to the hospital for treatment.